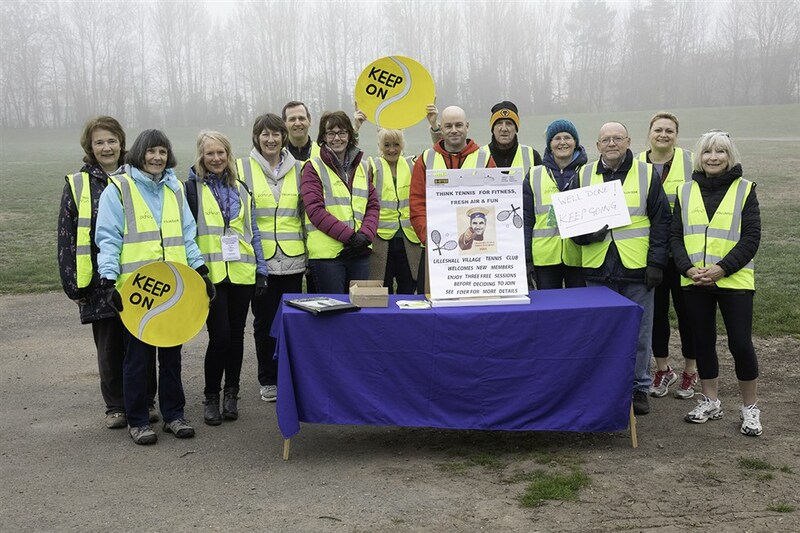 It was an early start on Saturday 30th March for a group of Lilleshall Village Tennis Club members as they turned up to a very misty Telford Town Park. They were there to volunteer as marshals and timekeepers for the Telford Park Run. They went complete with publicity material and placards, in the hope of spreading the tennis love to the 500 strong crowd of runners. All the volunteers had the most amazing and satisfying morning and loved the whole experience. In fact they loved it so much they are going to do it again and hope to build good links with the Park Run. One volunteer said "I certainly hadn't appreciated the magnitude of the whole Park Run enterprise and the dedication of the volunteers who turn up week after week in all weathers to make it happen."